Harbour House in Mudeford, near Christchurch sleeps 6 people. Harbour House near Christchurch has the popular Avon Beach only a 5-minutes’ walk away, with its long stretch of beautiful golden sand; Harbour House is an ideal base for a seaside holiday. 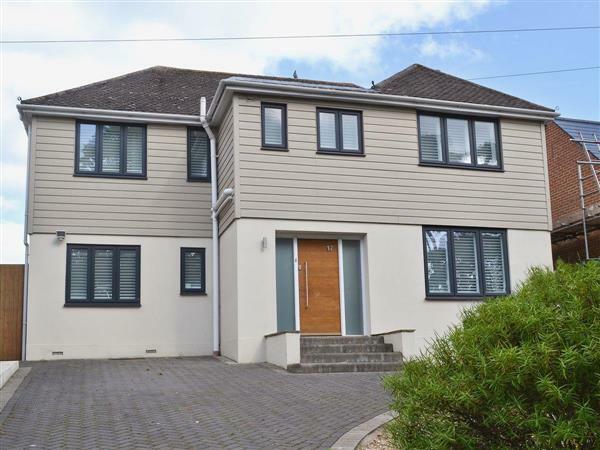 Standing detached, it is conveniently located for public transport to Bournemouth, and set back from the road. Tastefully styled and furnished, the open plan kitchen/dining area is a particular feature of this light and airy property, with its high vaulted ceiling and bi-folding doors, which open to the full width of the room. This is a lovely spacious room for the whole family to convene. There is private parking for 3 cars, and a large enclosed lawned garden to the rear, with a terrace and barbeque, the ideal place for al fresco dining or an aperitif or two in the warmer weather. Overlooking the entrance to Christchurch Harbour is Mudeford, a quaint fishing village with great charm and history. Its old fisherman’s cottages were linked to smuggling enterprises in past times. There is a ferry that runs from the quay to neighbouring Christchurch and to Mudeford Sandbanks, a spit of land adjoining Hengistbury Head. Mudeford Quay is a calm area of water and is popular for sailing and windsurfing enthusiasts. The park area is popular for kite-flying and ball games. There is a children’s play area, an RNLI lifeboat station, a café, pub and fresh fish stall. The town has a historic theatre and cinema, as well as an interesting collection of local history exhibits at The Red House Museum. There are many period and historic houses and buildings, Highcliffe Castle and Steamer Point Nature Reserve are worth a visit. Stanpit Marsh is a Site of Special Scientific Interest and the wetlands are popular for birdwatching. There is a pleasant promenade linking the quay with the beach, which is ideal for swimming, windsurfing and boat trips across the Solent. Other activities include fishing, kayaking, boat hire and browsing artworks at the local art galleries. Christchurch, 2 miles, has many inns, eateries, shops and a bustling harbour with waterside dining. Within easy reach are Bournemouth and Poole, 6 miles away, with award-winning beaches and seaside attractions. Popular places to spend the day include Swanage, Studland Bay, Brownsea Island, Avon Heath Country Park, Salisbury, Marwell Zoo and much more. The New Forest National Park is a 15-minute drive. Southampton with its nautical interest has ferry trips to the Isle of Wight. The beach and shop are 550 yards, with the pub and restaurant ½ mile from Harbour House near Christchurch. 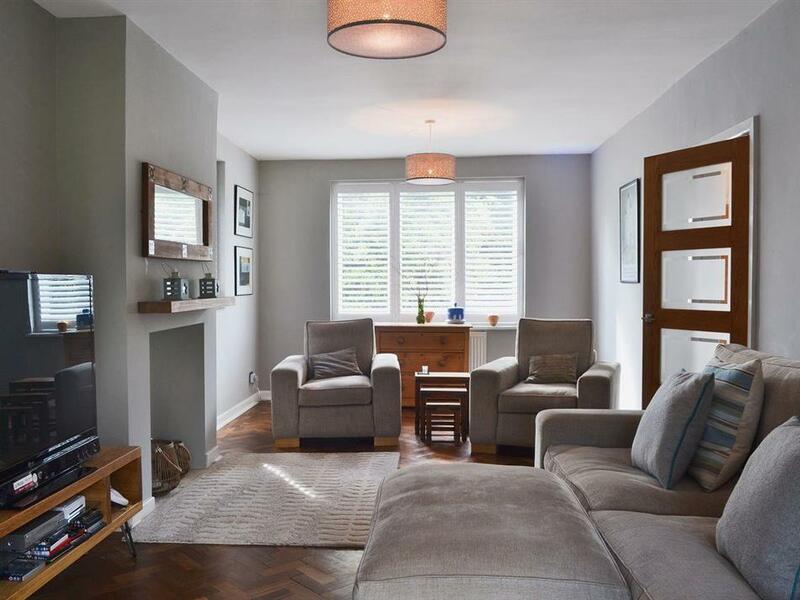 Living room: With BT TV (sports package) with Netflix, DVD player and parquet floor. Kitchen/dining room: With breakfast bar, electric oven, 5-ring gas hob, microwave, fridge/freezer, dishwasher, tiled floor and bi-folding doors leading to garden. TV room: With Freeview TV and Wii. Bedroom 3: With single bed and additional pull-out bed. Gas central heating, gas, electricity, bed linen, towels and Wi-Fi included. Welcome pack. Large enclosed lawned garden with sitting-out area, garden furniture and barbecue. Private parking for 3 cars. No smoking. Please note: There is a steep step in the garden. Holidays at Harbour House run from Saturday to Saturday. For a better idea of where Harbour House is, you can see Harbour House on the map below. Harbour House is in Dorset; should you be on the lookout for a special offer, you can find all the special offers in Dorset. It's always worth checking to see what is on offer at the moment. Do you want to holiday near Harbour House (UKC751), you can see other cottages within 25 miles of Harbour House; have a look to find your perfect holiday location.